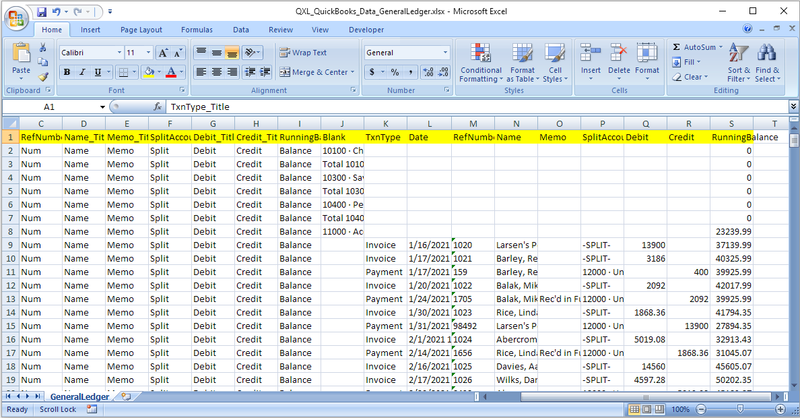 I am using QXL & I want to run GeneralLedger report through QXL. I can see the report on the list. But I want to change report parameter. How can I change report parameter & run the updated report? You can change report parameter from QXL Report Settings tab. The first step in changing report parameter is to click on settings icon for QXL options details. You can choose GeneralLedger report from the drop-down list & add the report for export. You can see default report query in Report Query/Command box. 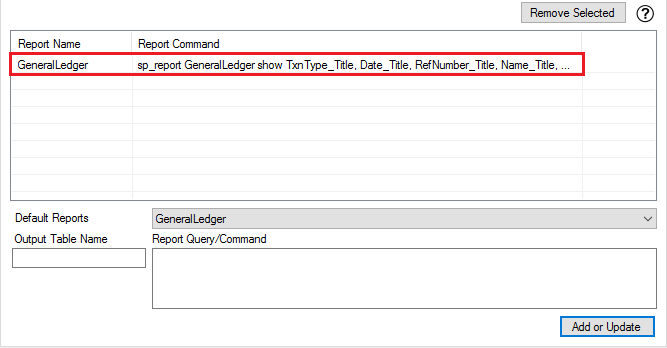 You can modify report query by from Report Query/Command box. You will be redirected to QuickBooks region link. Click on the "ALPHABETICAL LISTING OF ALL REPORTS" under "REPORT OVERVIEW" label. You will be presented all list of reports. Search for "GeneralLedger" report & click on "Parameters" to get details about all supported parameters for GeneralLedger report. 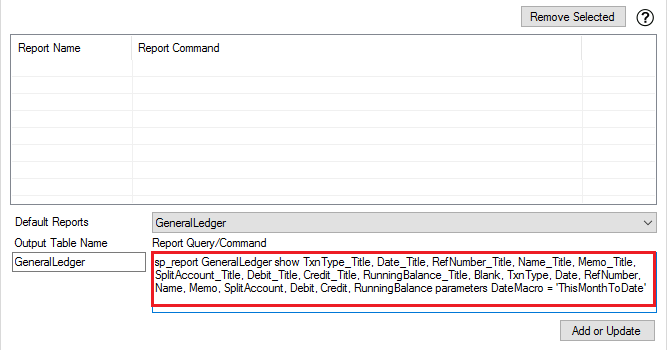 You can use any of supported parameter in report query. 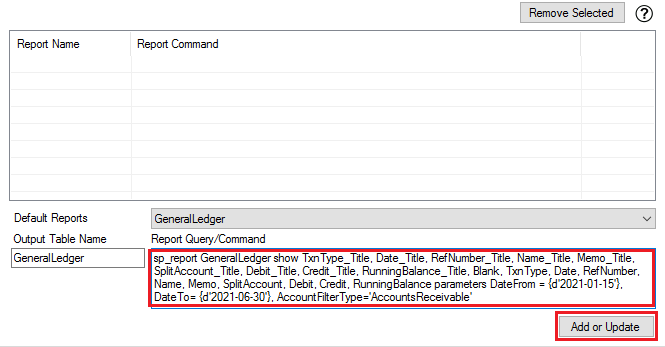 I am changing report query by adding AccountFilterType parameter & changing date period by using DateFrom & DateTo parameter. 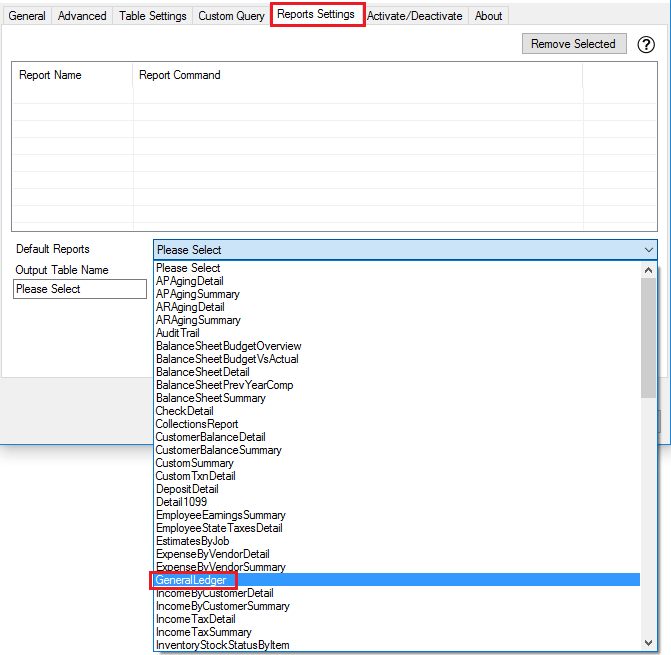 You need to modify report query & click "Add or Update" button to update report query. 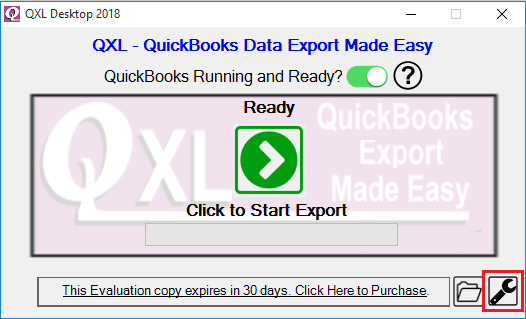 The modified report query & added to the export list. By repeating above process, You can add different report with different supported parameters as per your requirement. 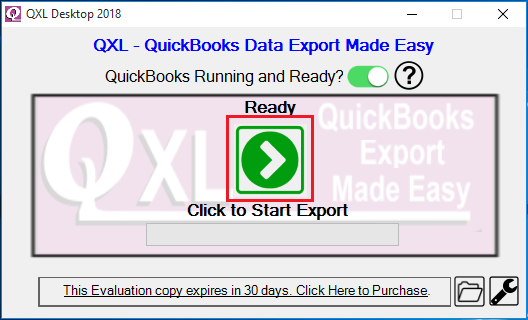 The report will be exported by clicking on the Export icon from QXL Main Window.